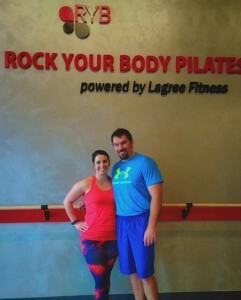 Scott and Julie Geromette at Rock Your Body Pilates in Shelby Township. Scott Geromette understands why a lot of guys aren’t so sure about the Megaformer at Rock Your Body Pilates in Shelby Township — he was one of them. Although his wife Julie had been trying to get him to join her in a class at the studio for months, Scott wasn’t so sure. Julie has been an RYB devotee since the studio first opened in November 2014, and has lost 30 pounds since attending the classes. She had been trying to get her husband to come with her to a class with her for months, with no luck. The Megaformer, a pumped-up version variation of a typical Pilates Reformer, was designed by a former bodybuilder, Sebastien Lagree. Lagree is so adamant his Megaformer isn’t Pilates, he actually discourages the usage of the word. Though insanely popular in New York and Los Angeles, the Megaformer can only be found in Michigan at RYB. “I would really encourage guys to try the class once so they can see for themselves what it is all about,” Scott said. In addition to attending RYB at least once a week, Scott also weight trains and does CrossFit regularly. Since the beginning of the new year Scott has lost 10 pounds and “noticed a significant change in my core stability and strength,” thanks to the Megaformer. Scott also said he appreciates how the Megaformer can be tailored to fit almost any fitness level, including how novices can choose to use no resistance and modify some of the more challenging moves. 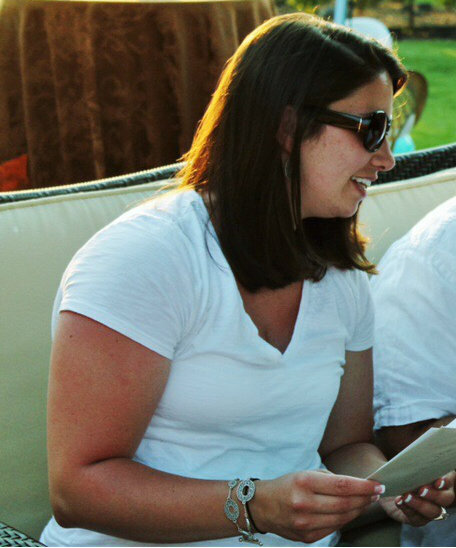 Julie echoes her husband’s thoughts on the workout at RYB — but she didn’t need any convincing. “After my first class, I was hooked!” Julie said, who added her desire to lose the weight she gained when she was pregnant with son AJ, now 3, helped her stick to the workout. She had tried running and gym memberships in the past, but after failing to see results, she would become discouraged. Julie loves RYB so much, the drive from Clarkston to Shelby Township isn’t even a factor for her. “I started going only one day a week, since it is a little bit of a drive for me, and now I am going three to four days a week — totally worth the drive!” she said. Julie and Scott both said they are so happy they tried the Megaformer workout, and see the benefits not just for women, but for men, too.